Today IT-Departments in modern shipping companies have problems to identify feasible and cost efficient communication solutions. shipznet provides easy configuration, simple hardware installation and integration in existing environments. 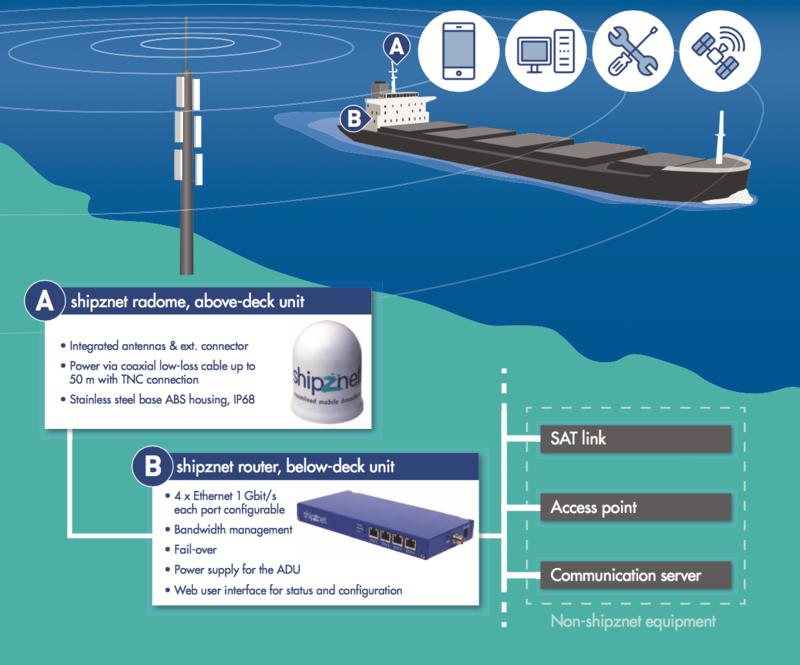 With a high speed innovative 4G communication solution „made in Germany“, specialized for maritime usage based on years of experience, shipznet solves these problems. Our mobile broadband concept is the key for complete managed internet access with high data contingents, world coverage and remote maintenance.